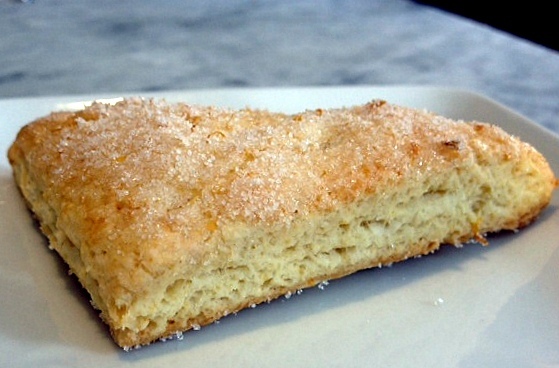 Can a scone effect change? I made these recently for the caregivers at the nursing home where my mother-in-law spent the final two weeks of her life. When Lucy was admitted to the home, her daughter quickly assessed the situation and asked that I bring baked goods for the staff, thinking that small acts of kindness (or sweetness) might translate into more attentive care. I don't know if the brownies, cakes and cookies had their intended effect, but I hope that the joyful hugs of appreciation I received from the nurses were extended to Lucy each time they entered her room. 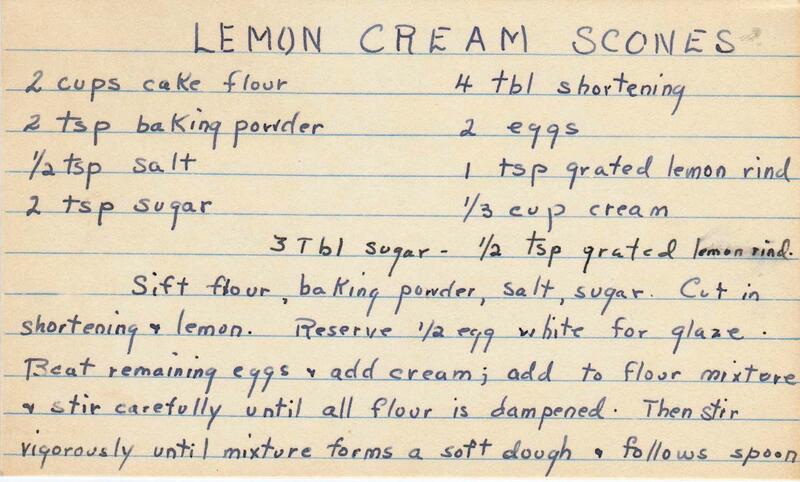 In general, I am not a fan of scones -- so little butter! -- but once in a while, a well-restrained baked good can be a good thing. 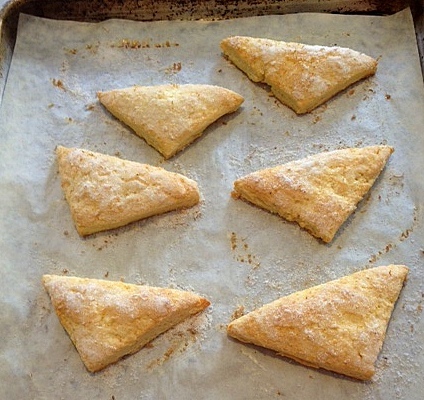 And unlike many scones I've known, these are, while not exactly bursting with moistness, not dry either. Plus, they have cream and lemon, both promising ingredients in anything sweet or savory. 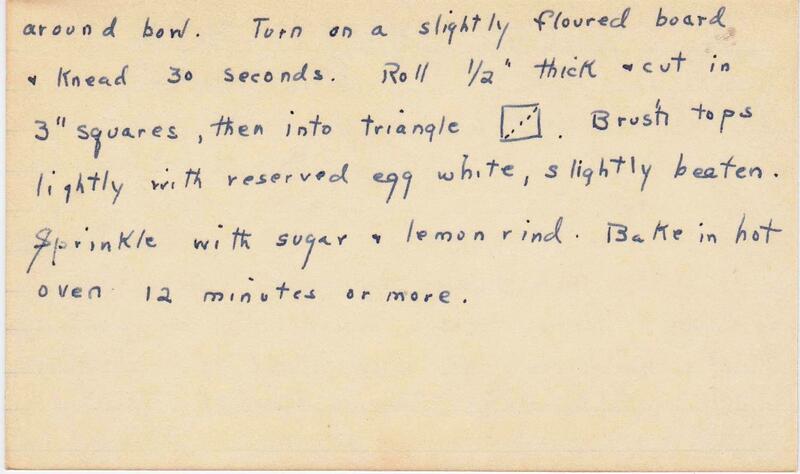 The carefully printed recipe card is probably from the mid-20th century, modern enough to have the method listed but old enough to simply say "hot" oven (which I took to mean 375 degrees). 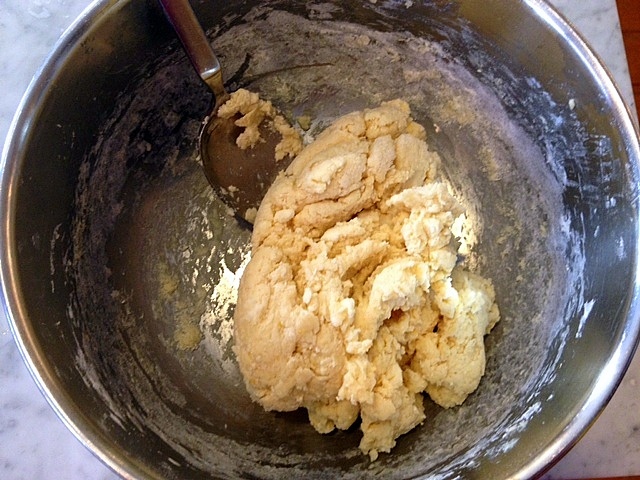 The first order of business is cutting the butter into the flour, a task I always hated until I discovered the wonders of the food processor. 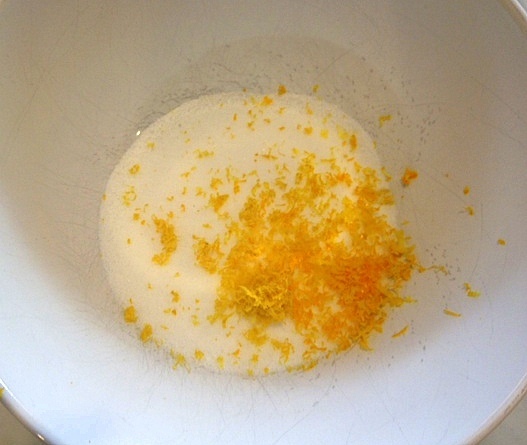 Mix the lemon zest with the sugar. 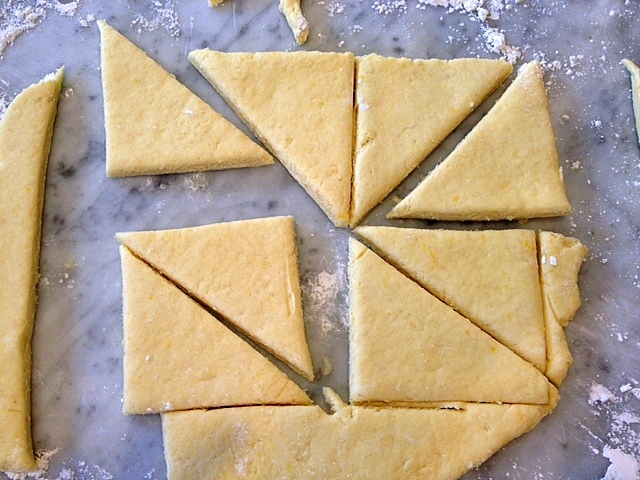 Mix the ingredients until all the flour is moistened. 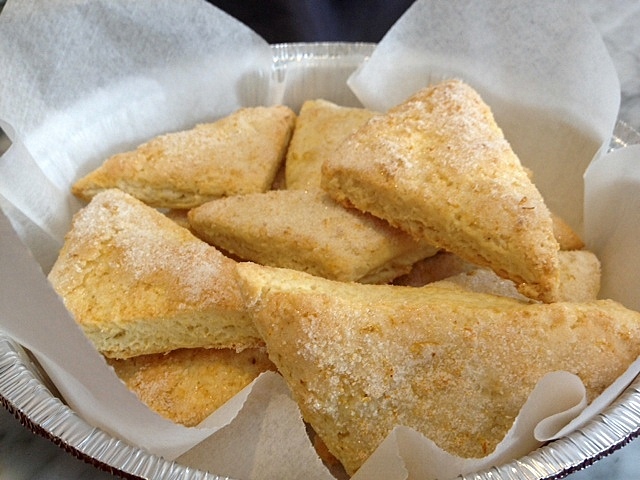 We have a tree full of lemons, and scones are a favorite of ours. I will make some this weekend! Lucky you, with a lemon tree! We once rented a house in Los Angeles for a vacation and I didn't ever want to leave on account of the lemon and lime trees in the yard. Wished I lived close enough to be in your test kitchen!! Looks yummy. 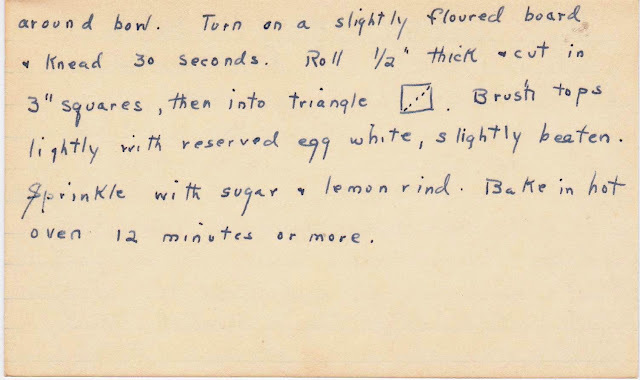 I think I like anything with lemons, especially Meyer lemons.